After the client has decided on a venue, theme etc., we work closely with the venue staff and it's vendors to implement the overall requirements of your event. This will include staging, lighting, sound, media requirements, labor, security and credentialing. 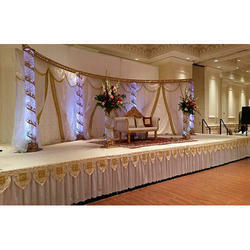 We are listed among the most dependable manufacturer and supplier of Crystal Wedding Stages in India. 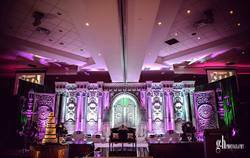 The materials used in the manufacturing of the Wedding Stages are of excellent quality For the wedding occasion we customize the Wedding Stage as per client requirement.